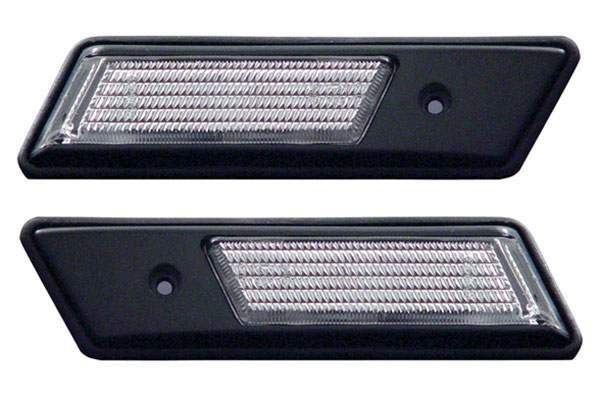 Anzo USA Side Markers will complete your vehicle’s performance lighting upgrade. It will seamlessly complement your Anzo USA headlights and euro tail lights with its sporty, clear style and amazing lighting. It’s a great replacement for your faded, dull, and old-fashioned factory ones. Anzo USA Side Markers are designed with the latest CAD/CAM technologies to offer your demands in style and lighting performance. Manufactured in Anzo USA’s ISO certified factories and tested to extreme temperature changes, rain, and humidity, they make fantastic replacements to your old and boring factory lights. Your Anzo USA Side Marker lights are guaranteed to the highest quality that they are covered by a 3 year workmanship warranty and 1-year warranty on finish.